Since 2011, considerable effort has been devoted to the development of the Network Codes. The involvement of stakeholders such as consumer organisations, generators, suppliers and many others from across the European electricity sector has in particular been key to the successful adoption of an efficient set of Network Codes. The drafting and approval of NCs is however just the start. The NCs have been designed to help realise Europe’s triple energy policy objective of developing a reliable, sustainable and competitive electricity sector. For this to happen, they need to be implemented and complied with across Europe. the creation of European-level common detailed methodologies and their actual (coordinated) application. All market participants, grid users, DSOs, Nominated Electricity Market Operators (NEMOs), Transmission System Operators (TSOs) and National Regulatory Authorities (NRAs) will be involved in the extensive required development work and consultation. 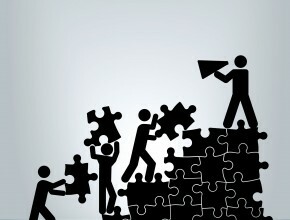 Effective stakeholder engagement is essential to the overall success of the overall objectives. In practice, this involves efficient and intensive sharing of views and information by all interested parties throughout the process as a whole. The European Network Codes Stakeholder Committees, chaired by ACER, will insure that throughout the implementation program, stakeholders are kept abreast of developments and provided with a forum to express their views and feedback. ACER and ENTSO-E have co-organised three European Stakeholder Committees (ESCs), one per family of codes (Market codes, Operational codes and Connection codes). These Committees aim to complement, and not to replace, the legal obligations of stakeholder consultation and information included in the NCs during the implementation period. Following the entry into force of the first market Network Code in August 2015, the Market Stakeholder Committee was the first one to be formally established. The Grid Connection Stakeholder Committee was launched in 2016, and the System Operations Stakeholder Committee in 2017. In order to establish an efficient structure, which delivers on all stakeholders expectations, ACER and ENTSO-E organised a public consultation in 2015. Over 30 stakeholder organisations responded to the consultation. Subsequently, ACER and ENTSO-E jointly proposed a set of rules for the stakeholder committees, which were approved by stakeholders themselves on their first meeting. To contribute to a more informed decision-making process for the methodologies and rules still to be developed for the implementation of the NCs. A call for expression of interest to participate in the Market European Network Codes Stakeholder Committee was issued by ACER and ENTSO-E in June 2015. You can find the terms of reference of the market European stakeholder committee below. All meeting documents (agenda, minutes, reports, and presentations) will be available for download on this page prior to each meeting. This is a sub group of the Market Stakeholder Committee. You can find the terms of reference of the BSG below. The Grid Connection ESC is the second of three ESCs ensuring effective engagement of stakeholders in the implementation process of the Network Codes and Guidelines. The Grid Connection ESC will ensure that stakeholders are kept up-to-date on developments and provided with a platform to express their views and feedback on Network Code implementation. A call for expression of interest to participate in the Grid Connection European Stakeholder Committee was issued by ACER and ENTSO-E on 22 January 2016. You can find the terms of reference of the GC ESC below. Subscribe to our youtube channel for updates when streams go live. All meeting documents (agenda, minutes, reports, and presentations) will be available for download on this page ideally two weeks, and at least 5 working days, prior to the next GC ESC meeting. The System Operation ESC (SO ESC) is the third ESC set up with the aim to ensure effective engagement of stakeholders in the implementation process of the Network Codes and Guidelines. The SO ESC will ensure that stakeholders are kept up-to-date on developments and provided with a platform to express their views and feedback on Network Code implementation. A call for expression of interest to participate in the System Operation European Stakeholder Committee was issued by ACER and ENTSO-E on 12 January 2017. You can find the terms of reference of the System Operations ESC below. The NC IMG oversees the implementation and implementation monitoring of electricity network codes and gas network codes in the EU. Network codes and guidelines are rules to harmonise technical, operational and market rules governing the EU’s electricity grids and gas networks, making an integrated EU internal energy market possible. The Gas Network Codes Functionality Platform (FUNC) is a platform, managed by ACER and ENTSOG with the Commission’s support, where stakeholders can report cross-border, regional and European issues related to the implementation of gas network codes and guidelines. In this way ACER and ENTSOG aim to find solutions to the cross-border, regional and European issues identified. ACER and ENTSO-E co-organise three European Stakeholder Committees (ESCs), one for each family of electricity codes (market codes, operational codes, and connection codes). They complement rather than replace legal obligations to consult and inform stakeholders during the implementation of electricity network codes. Documents relating to their meetings are available here. A database for stakeholders that tracks all queries about electricity network codes can be accessed here. You can find the terms of reference of the Network Code Implementation and Monitoring Group below. The Network Code Implementation and Monitoring Group (NC IMG) meets at least twice a year to oversee the implementation and implementation monitoring of electricity network codes and gas network codes in the EU.